Habitat - Streambanks, pond margins, open wet woods. Other information - This shrubby species can be found throughout Alabama. 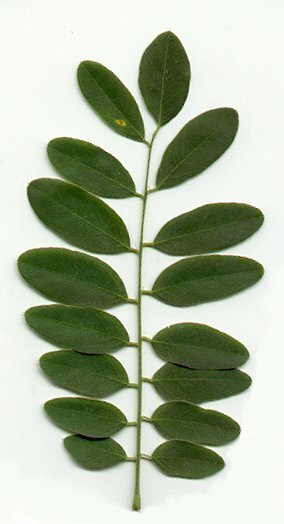 The plant is quite striking and is popular in cultivation. 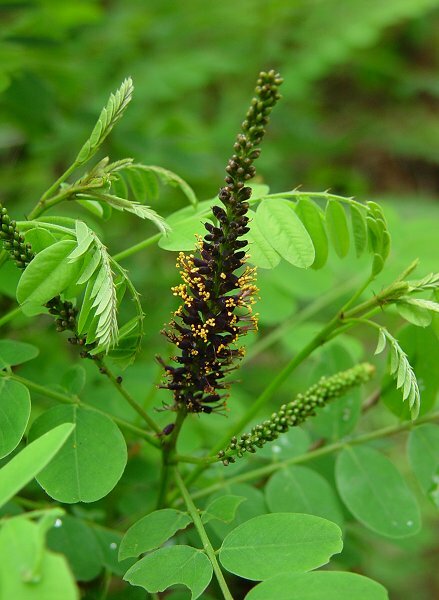 The plant is easily identified in the field because of its pinnate leaves, woody stems, and indigo-colored flowers. 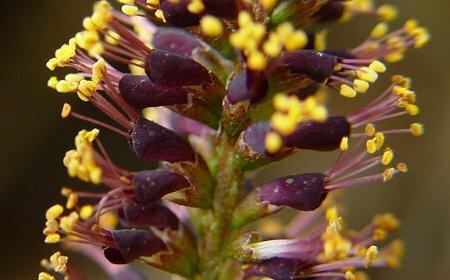 Amorpha is Latin for "without form" referring to the flowers. fruticosa comes from the Latin "frut" meaning "shrub." Photographs taken in the Ozark National Scenic Riverways, Shannon County, MO., 5-19-03.